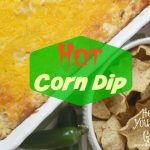 Score big and your Game Day party with a fantastic spread of these Amazing Dips, Apps, And Snacks! The big game is almost here so let’s get this party started. Football is pretty much a way of life in our home. This year makes it even more special because our hometown team made it to the playoffs. They showed up big this year and are all in for that coveted trophy. The big game means one thing – lots of food! So if you are tailgating at the game or celebrating the football game at home with the company of friends, feed them and they will show up big time! 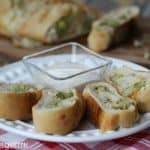 Whether you are in it for the game, the food or the good company, I have rounded up some Amazing Dips, Apps, And Snacks that you can serve at your game day party. No losers here. Each of these recipes are winners!